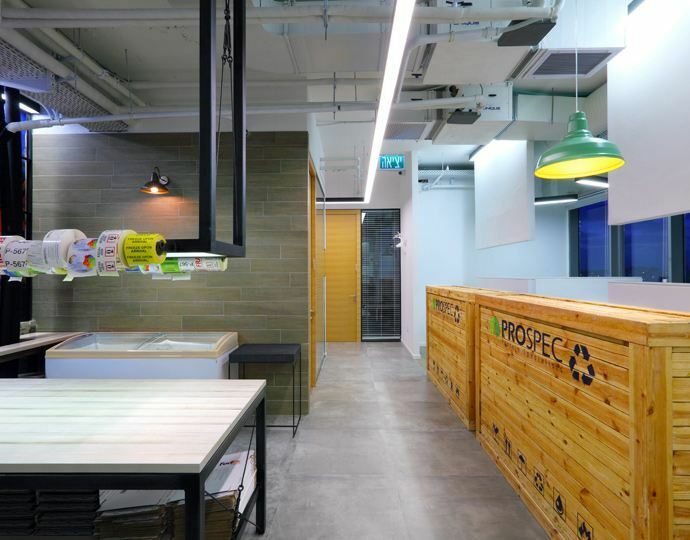 Our research team and scientists have been able to assemble more than 6000 recombinant proteins, peptides and antibodies for your research needs. 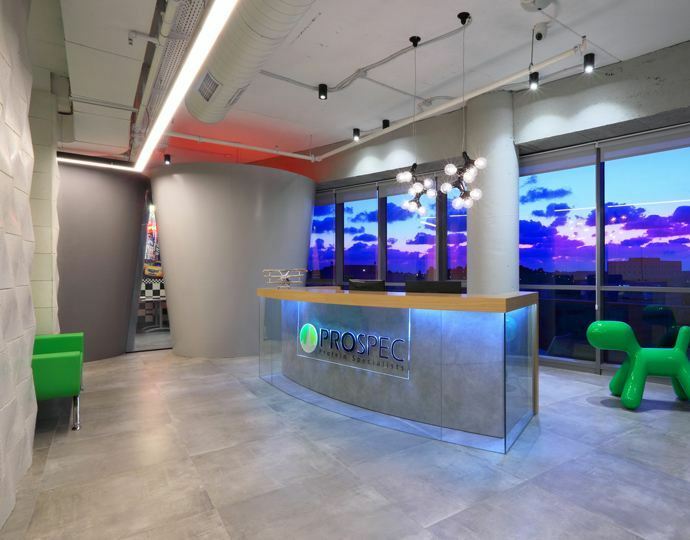 The proteins are rigorously tested to meet the research and development demand for excellent quality, uncompromising biological activity at competitive prices. 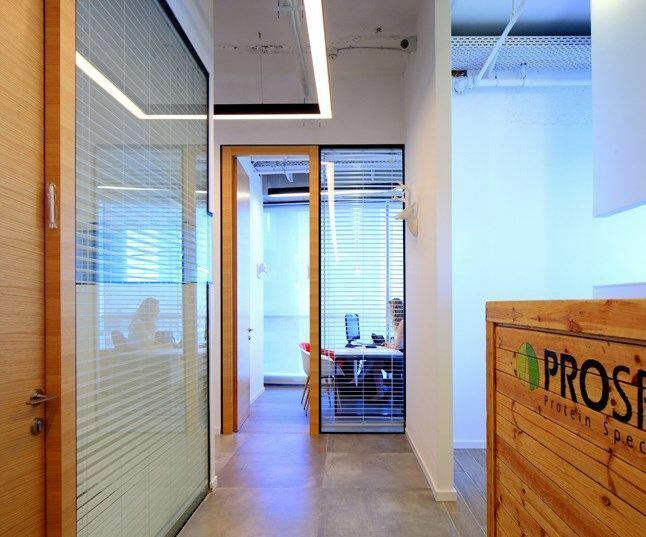 ProSpec has established sterling reputation among the scientific community, a reputation built on innovative products, customer service and attention to detail. 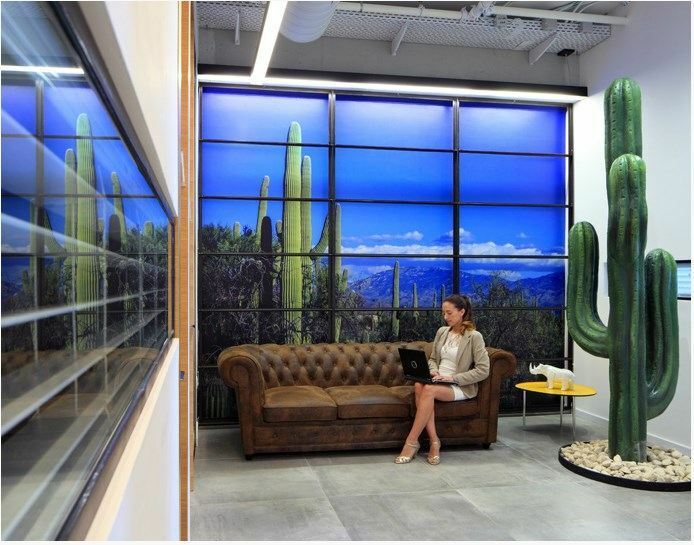 Our reputation for quality is an essential factor in achieving a favorable position in the market place and the benefits associated with manufacturing top quality products. 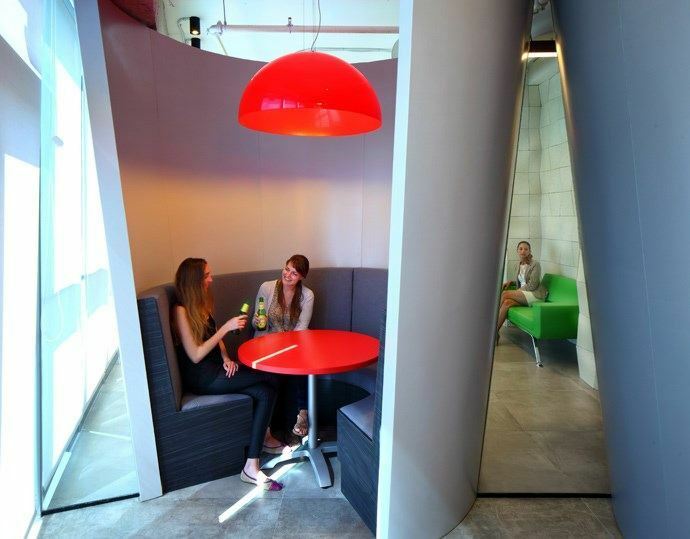 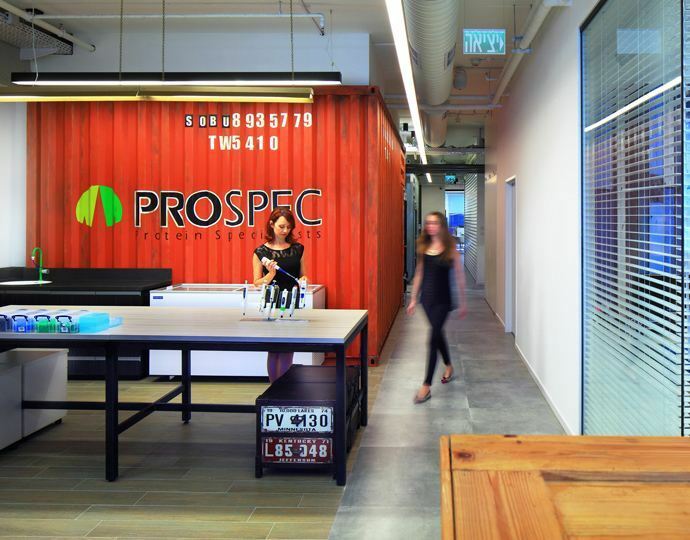 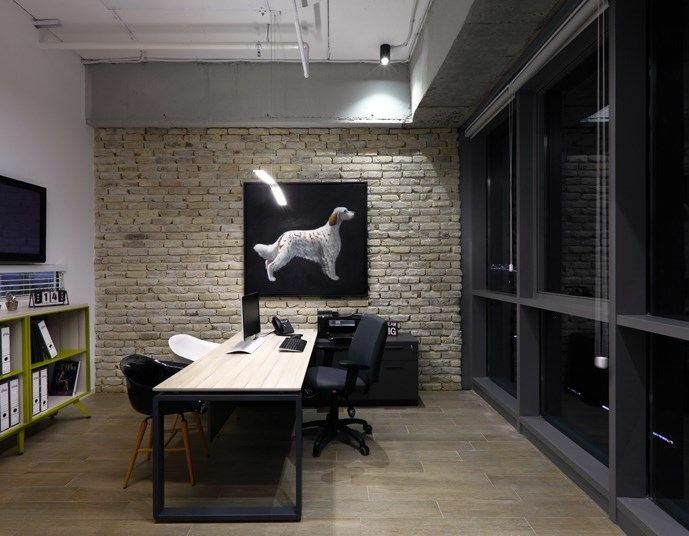 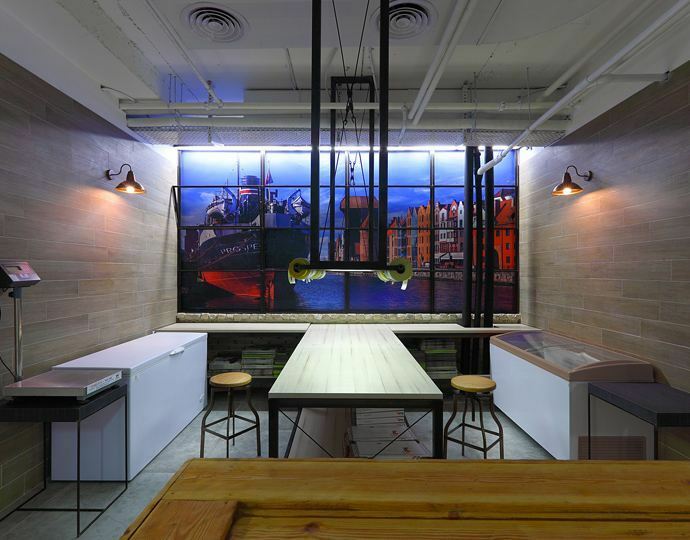 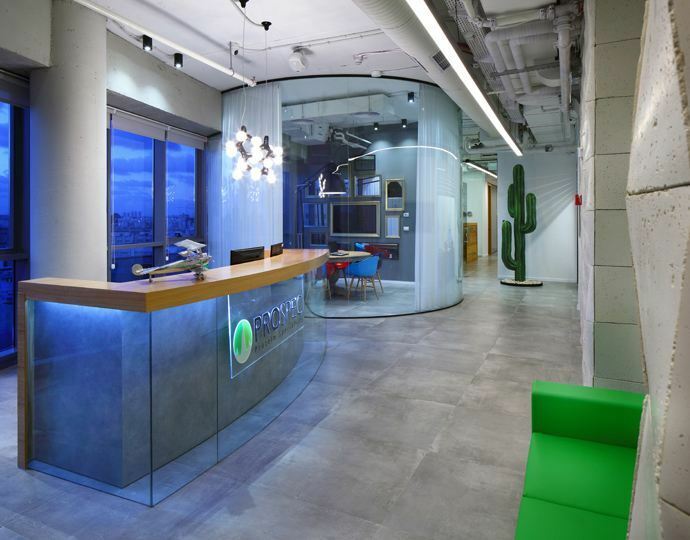 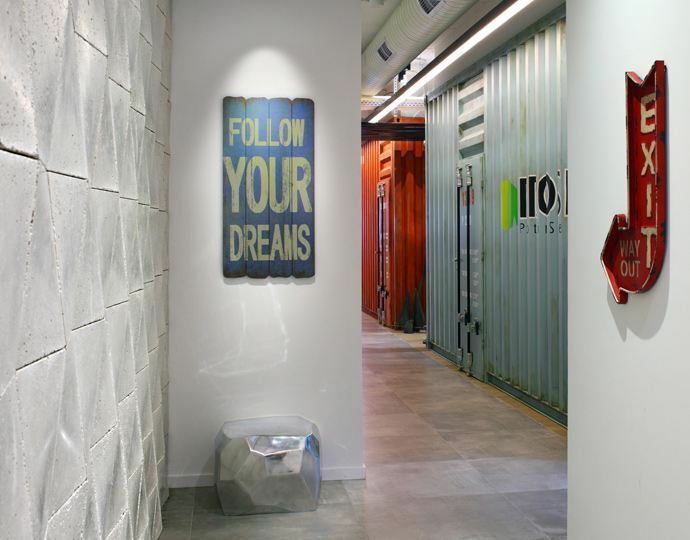 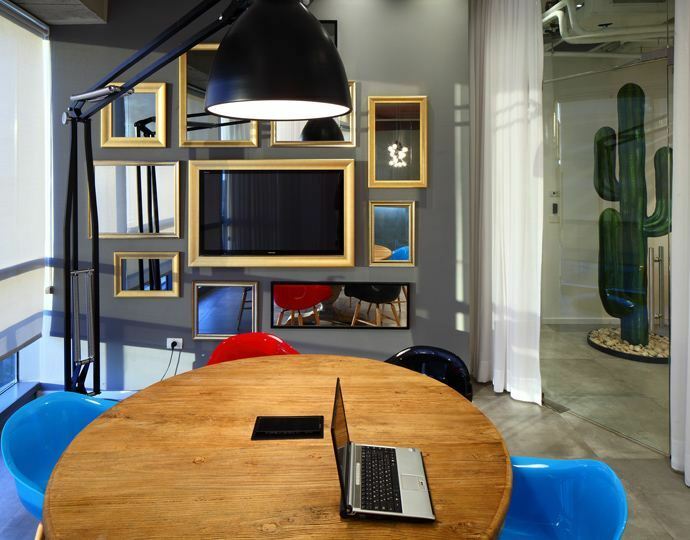 ProSpec has relocated its Israeli offices & Headquarters into an incredible new office space. 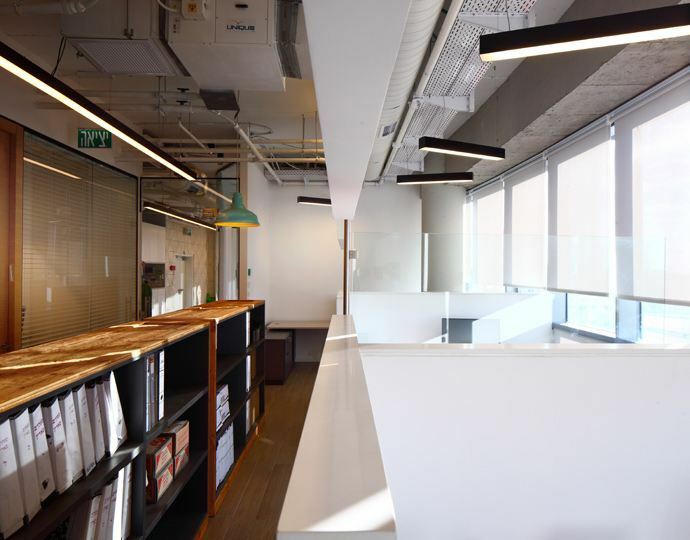 Designed by Levin Architects, the impressive and spacious 700sqm/7500sqf offices occupies the 6th floor in a brand new 2014 high end "Top-Science" building which is one of the largest Bio-Tech/Hi-Tech qualitative projects located at the Rehovot Science Park. 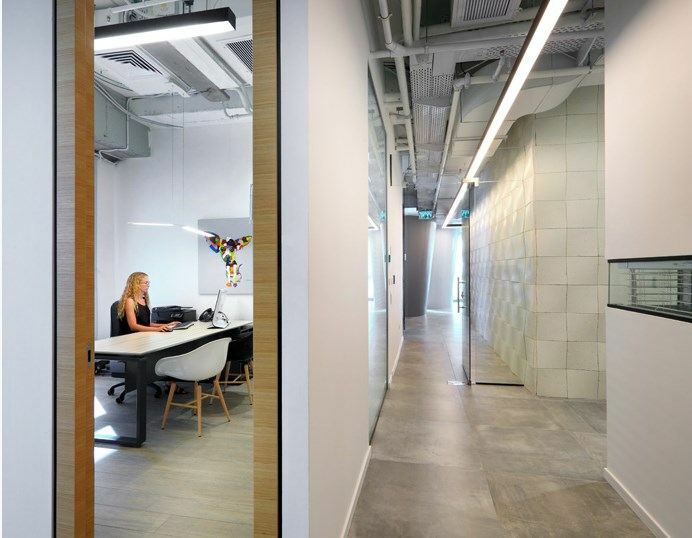 With spectacular view of Rehovot Science Park, the Colorful office design and styling is designated for not only giving our workers the right tools for work, but also those for motivation and inspiration. 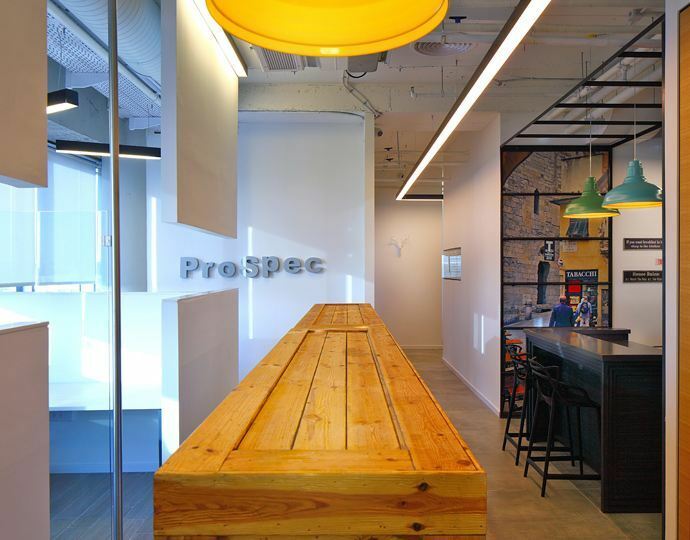 ProSpec’s office space was designed to create communication areas for our employees to collaborate with each other in a diverse atmosphere taking in mind the clear separation between the different departments thus granting privacy to the individual desk work. 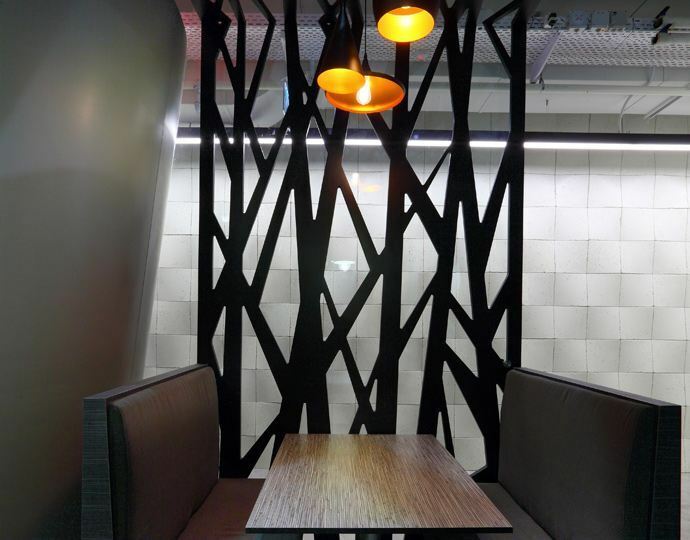 Each department was designed with a different aspect and identity in mind. 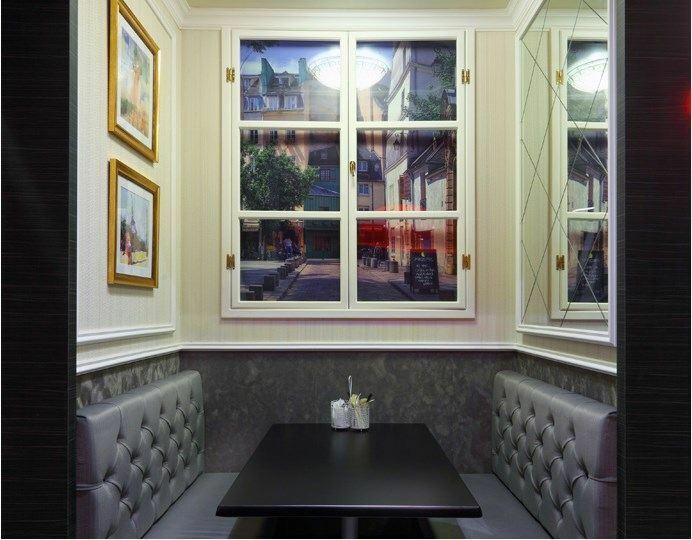 One can select from 5 amazing dining areas to choose from. 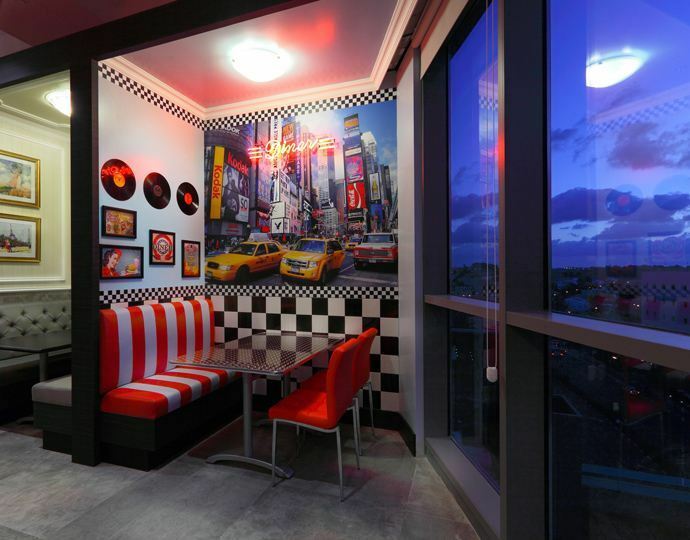 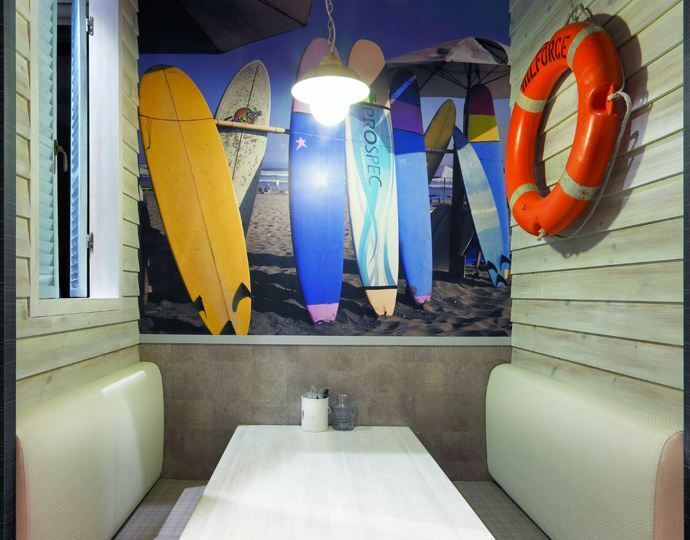 Each of the diner areas are designed to its own style and theme such as a Japanese diner, American diner, beach diner and a Parisian diner.